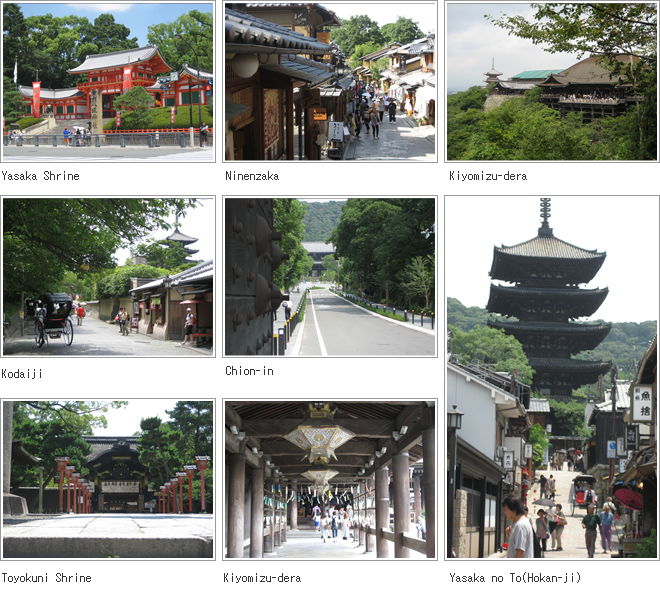 The City of Kyoto has been most favorite town in Japan among Japanese. 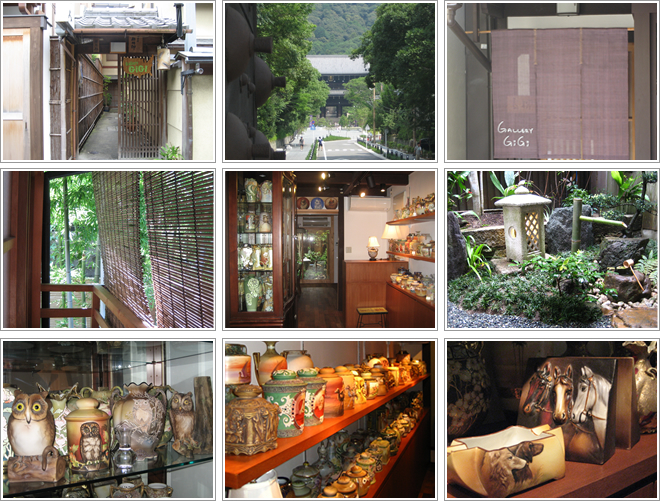 People want to visit historical areas in town, enjoy authentic Kyoto style foods, even they wish to live in Kyoto someday. So, Kyoto is always listed as best town to be in Japan. This is where people feel very comfortable. When you are in US, you see almost same passion with American people who live in East Coast, Midwest, and Southeast. They always want to visit European countries where their folks, grandparents came from as immigrants to find new world. In late 1800, many immigrants wanted to visit their family home countries, eat their authentic foods, and wish to live there. At least, they wanted to have same living style in US. In late 1800, the founder of Noritake Group ,Ichizaemon Morimura opened up his first office in New York to sell imported Japanese porcelain which had European finish, texture for those pioneers from Europe. His porcelains were so popular, he made huge success to sell those porcelains in US. Now, bringing those Nippon (Old Noritake) back from US to Kyoto, Gallery GiGi has the beautiful 100year's old Nippon to show people here who want to see real Japanese fine porcelains. You will enjoy these treasures in Kyo-Machiya style house which make them look more attractive in harmony. Nippon (Old Noritake) was made in Japan late 1800, exported to US by Morimura Brothrs.Nippon were used in daily living in US. 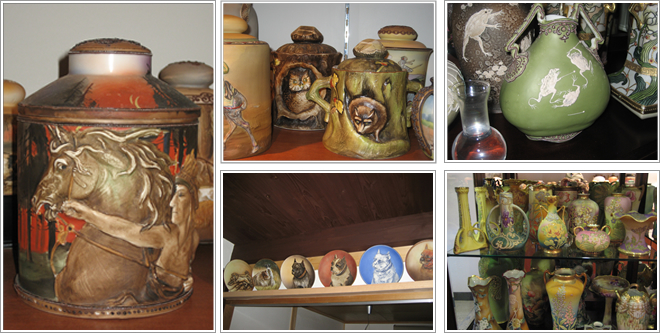 They are Humidors, Vases, Cookie Jars, and Plaques. Those were sold at less expensive prices at that time as well as suiting American's tastes. However since those were very fine porcelain with beautiful texture finish, their values has been going up year by year. 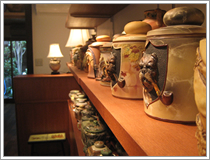 I would like Japanese people here to enjoy some Humidors, Vases, Cookie-Jars, Bookstands, and Plaques. They have very artistic features. The first time I saw this Kyo-Machiya House in Washio-cho, Kyoto, and the house was ruined, it was just rectangular box. 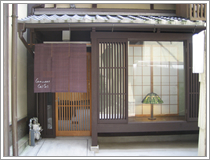 I tore down all interior finishes except traditional materials , structural components, and converted to Kyo-Machiya Gallery with traditional atmosphere. Also, I introduced modern style ecological elements in Machiya house. I believe it turned out to be very traditional look and it is suited for 100years old Nippon porcelain exhibition. Nippon looks much nicer and more attractive in Machiya space. 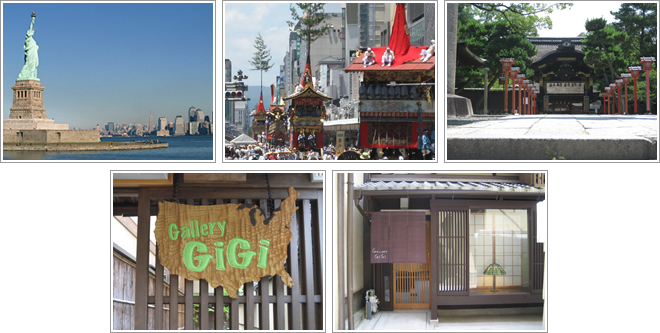 Let me show you around Machiya Gallery GiGi. BestGallery GiGi is to take bus from Kyoto Station. Bus departs at D-2 track, take #206 rout heading Sanjyu -Sangendo, Gion(三十三間堂、祇園　Japanese bus sign).Bus fare is 220 Yen. 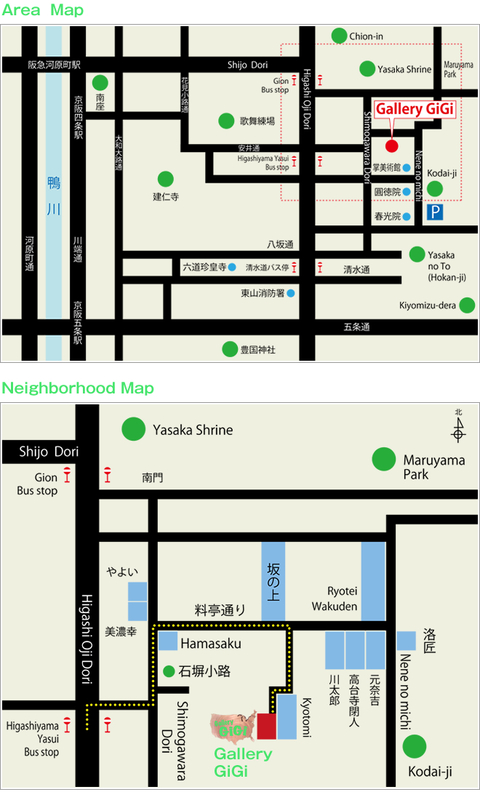 Get off at 9th stop from Kyoto Station,Higashiyama-Yasui. 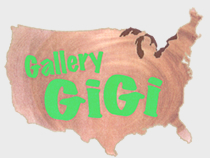 It is to take 5 minutes walk from bus stop to Gallery GiGi. Another way to Gallery GiGi is just to take taxi from Kyoto Station, asking Hamasaku Ryotei Restaurant or Wakuden Ryotei at Koudaiji.It cost you around 1,500Yen.